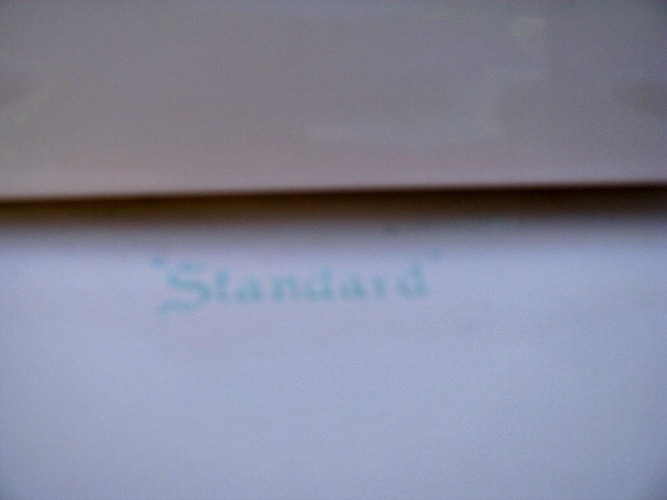 This is a "Standard" toilet, later that company became American Standard. 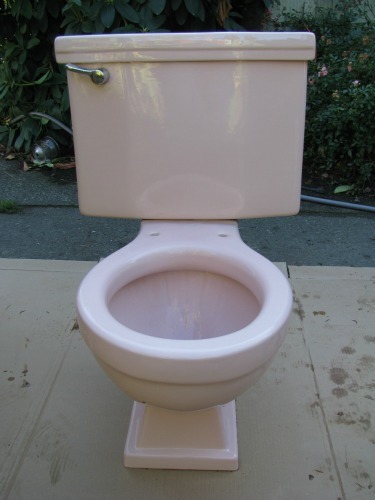 This is a Cadet model, one of the best toilets ever made. This being a mid century vintage it is a five gallon flush siphon jet. It is a 4 bolt, 12 inch rough in suitable for any type floor flange, including brass flange soldered to a lead drain. Condition of this toilet is very good. It is boxed and ready to ship. Price of this fixture is set at $350. I do not rebuild for sale fixtures until I have a buyer. The trip lever, seen in photos, is the only part attached to this fixture. I will ship as is, or install fresh modern parts. 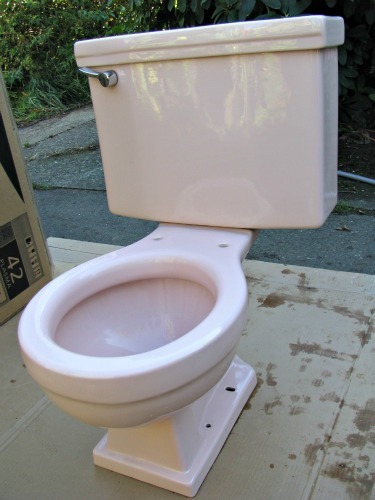 Price to provide and install fill valve, flush valve, and provide tank to bowl kit is $150. Email inquiries to Plumbing-geek, see bottom of page. Return to vintage plumbing buy sell trade.